FBTV is ON THE WEB! It's 11 o'clock somewhere... do you know where your childern are? Introducing Forgotten Buffalo Television. Join FBTV as we bring you the BEST of Buffalo, New York. Landmarks, classic taverns, old world neighborhoods, historic 20th century sites and plently of Nickel City oddities. FBTV is also your channel on the web for breaking news, Forgotten Buffalo style. Gravity...not just a good idea, it's the law! Since the first race in Dayton Ohio way back in 1934, kids all over the country have been taking part in the tradition known as the Soapbox Derby. We got caught up in the fever on Bailey Avenue. 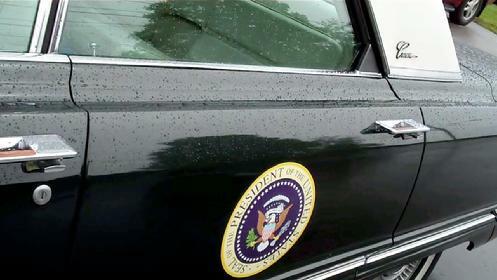 THE STORY BEHIND THE STORY...President Obama rolls into Buffalo's former meatpacking district to share a little hope and change with some pretty cool wheels. But what if he got a flat or his fan belt broke? We found the guy that had the answer and a potential Presidential Limo replacement. Historian Peter Jablonski and a group of Boy Scouts from Troop 261 in Amherst New York experience a rare look into an old tavern on the East Side of Buffalo New York that dates back to the 1800's by unearthing old artifacts. Can you dig that? Since 1878 the bells of St. Anns at Broadway and Emslie have peeled throughout the East side of Buffalo. Signaling to the burgeoning German immigrants that once inhabited this bustling neighborhood that the center of this, like so many other communities, revolved around their local place of worship. This was where people gathered to pray, to learn, to play. The German immigrants assimilated into their new surroundings and the neighborhood changed from families of Bavarians, Bohemians. and Austrians, to African American families and new immigrants from Burundi, Liberia, Rwanda, and Sudan. Yet the bells rang on. Sadly it seems that the bells may toll in unison one last time this week when St. Anns celebrates the Tridium of Saint Ann which begins Thursday July 24th. The Diocese of Buffalo has sheduled the 150 year old church to close after it celebrates its 150th Anniversary this August. In the 1800's The White Bros Livery stables at 428 Jersey street served as the boarding facilities for the horse drawn carriages of Buffalos upper crust. Today the crust of the historic west side landmark is crumbling and a bucolic pocket neighborhood in Buffalo, NY is fighting to save it from a neglectful property owner and a city ordered demolition. Will they succeed in its salvation or will the landmark structure become yet another part of Buffalo's forgotten past? New life is being projected for a run-down former movie theater on the East Side noted for its glazed terra-cotta facade. A group of black media professionals has purchased the former Sattler Theatre, 512-516 Broadway, one mile east of Main Street, to serve as its headquarters and presentation space. The nonprofit group paid $40,000 to acquire the building from God�s Holy Temple and will seek to raise more than $1 million for its restoration, according to Michael Quinniey, chairman of Western New York Minority Media Professionals. The theater, near Jefferson Avenue, opened in 1914 as a 928-seat movie theater at a cost of $35,000 on the site of the wood-frame Casino Theatre.